GREAT NEWS: The rules have changed. You no longer need an EIN or an ITIN unless you have extenuating circumstances. Read the update here: Update on Canada Tax Information with the United States. I will leave this original post up for those who still need to apply for an EIN. Several months ago I discovered that Smashwords began withholding 30% of my earnings to give to America’s Uncle Sam. If I didn’t act, I’d continue to lose this money for the life of my writing career. To claim this 30% in the future, I’d have to jump through hoops at 1,000 feet in the air and ride a wild boar through the desert…okay, nothing that drastic, but everything I read and everyone I talked to led me to believe that getting all the paperwork in order would be a time-consuming nightmare. You post a book to Smashwords for $2.99. It sells through them to Kindle who takes 30% for selling it plus $0.09 for delivering it to the customer. You’re now left with $2.00. Smashwords takes about $0.14 of this for a service charge (their hand in selling it). You’re now left with $1.86. From this, Uncle Sam withholds 30%, leaving you with $1.30. Withhold means claiming that money as income tax. Let me paint a bigger picture for you. 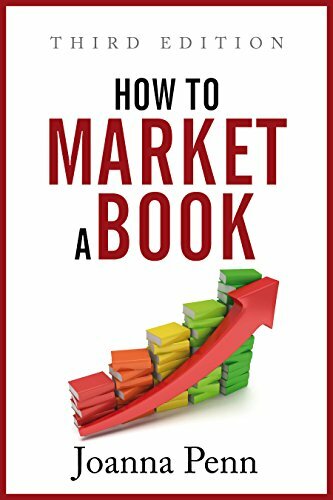 For every 1,000 books you sell at $2.99, your profit drops from a potential $2999.00 to $1300.00 after all those hands grab what they want. If you didn’t have to pay Uncle Sam, you would have earned $1,860.00. It takes about 30 minutes to get an EIN and complete the proper form to reclaim that money. And you only have to do this once. In my books, $560 for a half hour’s work is an outstanding pay cheque. The imagined nightmare has discouraged many writers from dealing with the IRS, but it doesn’t have to be like this. You can start claiming that 30% by following the simple steps below. It will take approximately 25 minutes of your time, one long-distant phone call, one completed form and a US stamp. Oh, and one envelope. 1) Forget about the silly ITIN everyone keeps talking about. You don’t need an Individual Tax Identification Number with the IRS to claim the 30% withheld by Smashwords (or Amazon, CreateSpace, etc.). You can read more about the ITIN here. The information is mid-way down the page. If you’re set on the long, torturous method of going the ITIN route, follow the steps on that web page. I can’t provide further advice because I didn’t go this route. 2) Visit the IRS website and download the SS-4 form to request an EIN (Employer Identification Number). This page provides information about getting an EIN and the link to the form. It provides the option of filling it out on-line, but if you are not an American and do not have an ITIN, you cannot complete the form online. You can however enter the information into the form and print a copy for your records and to aid in the phone conversation. Legal Name: Spell it as it appears on official documents: driver’s licence, income tax, etc. Trade name of business: If you set up a company like I did (Quarter Castle Publishing) to sell your books, record it here. If you are using your name as the company, leave this space blank. More on companies in step 6. Mailing Address: Enter your complete mailing address without abbreviations. In other words, spell out street, Nova Scotia, Canada, etc. Make sure you include your postal code. Country and state where principal business is located: Again, don’t abbreviate. State the province (Nova Scotia) and the country (Canada). Name of responsible party: That’s you! Record your name as you did above. (9a) Type of entity (they’ll ask you this on the phone): Check sole proprietor and go onto question 10. (10) Reason for applying: check two boxes: Compliance with IRS withholding regulations AND Other (specify): On this space write the following: To obtain a reduced rate of withholding imposed by section 1441 pursuant to an income tax treaty. (I didn’t make this up, but found it on a site which helped me complete the form). (11) Date business started (they’ll ask for this on the phone): If you do not have a registered company, and you are getting set to publish your first book, use the first day of this month or a day not long ago when you began working towards getting the book published. If you have receipts for work-done (such as from the editor you hired), set a date before then. If you have already self-published a book, pick that date or a date just before then. Regardless pick a date and record it somewhere as your start date. (12) Closing month of accounting year: To make things simple, I chose December. (13) Highest Number of employees. I was told to include yourself, so you automatically include one under OTHER. I wrote two because I’d like to hire someone next year to help, but I’m not bound to this. (14) I checked the box because I didn’t want to file quarterly. Once a year is enough. (16) Check one: In this instance where you are publishing your own books, check other and record: PUBLISHER. (18) Have you ever applied for an EIN before? I haven’t, so I checked NO. By clicking the thumbnail image of the form, you’ll see how I filled it out minus pertinent information. 4) Call this number: 267-941-1099 (this is not a toll-free number; the number on the Kindle Direct Publishing site is wrong; they have 264 instead of 267; There’s no one at that number; CORRECTION: I checked the KDP site (March 7, 2014) and it now contains the correct phone number.) once you have a copy of the SS-4 form in your hand. It’s in Seattle, Washington, so expect a long distance charge. Follow the instructions to get the right department (you’re applying for an EIN), then stay on the line and answer the clerk’s questions. Provide no more information than what is asked. If you are told you need an ITIN to receive an EIN, say thank you, hang up and call back to get another clerk. You don’t need an ITIN to get an EIN. The clerk will ask most of the questions on the form, so if you have it completed in front of you, you’ll be able to answer quickly. Also expect to spell out everything; they need the proper spelling of your information. Before the clerk lets you go, she will provide your EIN. Write it down, file it, add it to your business information, keep it safe. In about three weeks, you’ll receive a letter from the IRS. Photocopy it, file it, and return the portion they request. It’s to verify your information. 5) Celebrate! You just did what others have been putting off. You have an EIN, so you can start claiming that 30% Uncle Sam wants to keep for himself. 6) With regard to owning a company: Rumour has it you must own a company to get an EIN. If you are self-publishing, you are considered self-employed because you are earning money independently. As a self-employed individual, you are basically running your own company, so get an EIN. Individuals who own a company must register with NS Registry of Joint Stocks, except for those who use their name as their company name. I could easily use Diane Lynn Tibert Publishing and never register or pay a fee. What this says is that you don’t need to be a registered company to be an official company. Treat your business like a company and it is a company. Learn more about registering a company in Nova Scotia here. If you live in another province, check your business laws because they may be different. The important thing about earning money by independent means is to claim it on your income tax. That’s what the government really wants: your money. 6) Now that you have the EIN, what now? Go to the W-8BEN form on the IRS website and enter your data. You can’t save the form, but you can enter the data and print it off to mail. Print one copy for your files and a copy for each company you plan to distribute your book through. (1) Name: Record the same name with the same spelling as you did on the SS-4 form. (2) Country of incorporation or organisation: If you are simply a single-person company who is selling books through places like Smashwords, you simply note N/A and move on to question 3. (4) Permanent residence address: Do not use abbreviations. (5) Complete if the mailing address is different. (6) US taxpayer identification number: Enter that lovely EIN you just got from the nice lady on the phone and check the EIN box. (7) Foreign tax identifying number, if any (optional): I’ve seen others fill this in, but since it was optional, I did not enter my SIN. a. Check the box and enter CANADA in the blank. SIGN, DATE THE FORM and enter SELF in the capacity in which acting. Smashwords, Inc. Tax Compliance Dept. Within three weeks, I heard back from Kindle, but I never did hear a peep from Smashwords. I just checked the Payee Page and found that my W-8BEN tax form was received June 12th. That’s two days shy of a month from the time I mailed it to the time they processed it. I mailed the form to CreateSpace only last week, so I don’t expect to hear word from them for another week or two. NOTE: W-8BEN forms expire after three years, which means you have to send another form in…you guessed it…three years time. I’m not sure if reminders from these companies will be sent out, so make a note somewhere to check into this in three years. ALSO NOTE: Regardless if you get an EIN and fill out a W-8BEN form, if you sell directly through Kindle and they sell your book to customers living in countries other than the United States (United Kingdom, France, Spain, Italy, Denmark) you do not get the 30% tax withheld. Taxes are withheld only when customers living in the United States buy your book. However, I believe if you sell through Smashwords, you do get the tax withheld because it passes through too many hands. For example, if your book is sold to a customer in the UK who bought it from Amazon who bought it from Smashwords who bought it from you…well, I think you get what I mean. I saw no mention of this on Smashwords’ page, so can’t say for certain. The reason Canadians do not get taxes withheld when selling a product to a customer in the United States is because we have a tax treaty with them. Not every country does. To learn more about treaties for Canada and other countries, visit this IRS page. NOTE: You get the full exemption for the first $10,000 (or $3,700, I found both these numbers on the Internet) you earn. After that, you must pay the IRS 5 or 10% of your earnings (Calculated not by the amount your book sells for, but the profit earned from sales since that’s all you’ll see from Smashwords, Amazon and CreateSpace). BIG NOTE: If you self-publish you are operating a business. As a part of doing business, you must complete certain paper work. Getting your EIN and submitting a W-8BEN is part of doing business. If you plan to publish a book to Smashwords, Amazon (Kindle) or CreateSpace in the next few months, take care of this business now. It takes about a month to get all the paperwork in the hands that need it. EXTRA BIG NOTE: I am not a tax professional. I only know this from my research on the Internet and going through the experience myself. Please, use this information as a guide only; depending on your circumstances, you may have to provide additional or different information than what I had to. Also, this information is time-sensitive. The government is notorious for changing/updating forms, laws and requirements. Are you looking for more help on your self-publishing journey? Check out the Self-publishing Resource section of this blog. As a canadian obtaining an EIN for my canadian corporation, that triggers an annual requirement to file a treaty based tax return with the IRS (and this is costly as per my accountant — $500 and up) — I’m surprised no one mentioned that. Or maybe I’m missing something here. Why would you file a tax return with the IRS? I don’t. I claim all income with Canada Revenue. I am a sole proprietor though. If you are an incorporated company, the rules may be different for you. I’m not a professional accountant or lawyer but from my research and feedback from other accountants here is what I am learning. Even though as a Canadian we claim the income with the CRA at tax time, the IRS still needs to know about the income (transactions) originating from the USA. If you have a permanent establishment (PE) in the USA (which most of do not and this does not include nexus created by having a warehouse in the USA either) then you pay tax in the USA then when submitting the tax in Canada, you get ‘Foreign Tax Credits’ applied so they basically almost cancel each other out. If you do not have PE in the USA (which applies to most of us) then you are exempt. Either way, there are forms that need to be filled out (corporation = 1120F and for individuals it’s form 1120NF). I presume all sole proprietors are treated as individuals in the eyes of the IRS (since the company is an extension of you — same entity). If you have an EIN, then it could be IRS may treat you as a company and not individual since EIN’s are not for individuals. If you have an ITIN then it could be you are treated as individual regardless of sole-proprietorship or not. Anyhow, I am trying to avoid getting an EIN until I have substantial sales to justify the added expense of filing. ..1140NR sorry, keep making typos. Thank you for this article… took just minutes to get the EIN over the phone. (only change to your info was zero for number of employees, as no american employees). Thank you for taking the time to do this. You’re welcome. I’m glad the article helped you. Thank you Diane. I followed exactly what you described above in applying for the EIN. The Lady at IRS was indeed very nice and yes, I got that beautiful EIN number. That’s great! Glad to help. Thank for your sharing, i followed your step by step and successful registered . I’d like to say that it’s still work until now, I will be rejected 5-7 times by some agents like me, but never give up & keep trying. Thank you for the follow and what a well written and informational post. I am glad we met. You’re welcome. I’m glad you liked it. Thank you for visiting my blog and leaving a comment. Hi Diane, your post is very helpful. I am an app developer and have to go through the same process when submitting my app for sale. Questions with regards to EIN: Do I need to file taxes? And how? I actually apply for EIN before your post and I forgot what I put in as year closing date and whether or not if I check the box for filing yearly. I’m glad the post was helpful. I am not a tax expert, so these questions should be asked of your tax adviser. Personally, I don’t file a tax paper with the IRS. I claim all the income I make from my books (including that made in the US through Smashwords and Kindle) in my personal taxes with Canada Revenue. I claim it under self-employment income. You could also claim it under Other Income. I fill out the forms online and print them off for my records. When I called for my EIN, I had the form right in front of me. Now it’s filed and I can refer to it at any time. I have a horrible memory for real life–ask about a character in my fantasy novels though and I know the answer–so I print and store. Thanks for visiting my site and for leaving a comment. This has been on my mind for a while now, so THANK YOU for the info 🙂 … just a thought for anything that can’t be printed out, just create a jpeg of the screen. This is something easily put off by many–I know I did–but we must bite the bullet if we want our money. And we all want our money. Thanks for visiting. Thank you so much!! This is exactly what I needed to know, exactly when I needed to know it. Thanks, for dropping by, Jim. I’m glad to help. Thank you for posting this information. I followed your instructions and I now have my EIN and my W-8BEN is filed. You’re welcome, Deborah. I’m glad to help. Thank you for your kind comments. As for your question, I’ve never had to reclaim moneys held through taxes. Some say it’s a lengthy process, but I can’t say for sure. I believe there is information on the IRS website concerning this. Sorry I can’t help. My problem is that it’s not a huge amount of money to reclaim, so it may not be worth the trouble getting it back. I’ll pursue it just for the principle of not giving the government free money. My accountant suggested calling the closest H&R Block near you in the U.S. and see if they can file something for you. I’ll probably attempt that next June around tax season. If anyone, (including myself) has any luck, hopefully they will share here. Unfortunately, I have already done all the ITIN work and am awaiting their reply with, hopefully, my number. If they refuse me, I will now know what to do! I just wanted to add that I called Amazon and had them hold back any monies earned until I send them my ITIN number and they have done so. Also, someone told me that you CAN apply to get your 30% withheld tax back, though it might be complicated and lengthy. Don’t know for sure, but it’s worth a try, especially if it is two years worth! Thanks for your detailed information! Thanks for visiting, Jade. Yes, I did read that you can apply to have the 30% returned, but it is complicated. Good luck with your ITIN. If it doesn’t come through, you know where I am. Sorcha, thank you for visiting and leaving a comment. I was like you, thinking I was going to do a huge amount of work just to get an ITIN. Thankfully I discovered the EIN. I’m glad I was able to help. Good luck with your book. Thank you so much! I followed your process and obtained my EIN this morning after a short wait on the phone on hold. Diane, you are worth your weight in gold! #10 Reason for Applying: I was told I can only check one box so I checked Other. #13 No of Employees: I was told this is for the number of US employees only. The answer for Canadians should be 0 unless they have an assistant or similar who lives in the US. With no employees, you do not have to check the box in #14. BTW, I am yet another Canadian who had her ITIN application rejected for no discernible reason a couple of years ago. I bought an Ontario Master Business License for a new sole proprietorship, and as of a few minutes ago I (at no cost other than long distance charges!) have my EIN! That’s great news, Madelle. I’m glad my post helped you obtain the EIN with no issues. Thank you for providing the Notes for #10 and #13. Got my EIN no problem over the phone, but the W-8BEN forms seem to have changed; no place or option for EIN; ITIN only, it seems to me. Nor does the instruction page include the EIN option. And to get an ITIN, much more documentation is needed. Anybody else figure this out? I will add my thanks, these instructions worked perfectly. Diane, thanks a lot for posting this info. I called in 20 minutes before closing and was done in less than 7 minutes of long distance calling. And you’re right, they ask if you have already filled out the form so that you can reference it at any point during the call. Now if only I could retrieve that 30% the IRS has withheld over the last two years. Have you had that problem, or did you sort this out before they were able to withhold? Hi Diane. 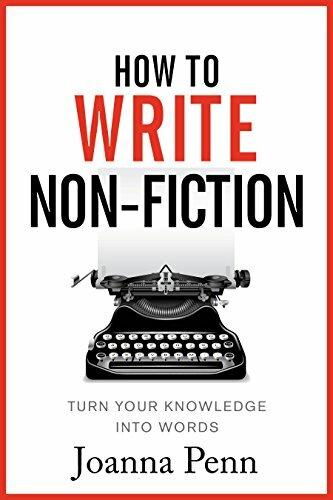 Thank you for creating this guide, it is going to be very helpful as I publish my first novel. An important question: I plan to sell my book through several sites (Amazon, Google Play, Kobo, and Lulu). Is this process only necessary for Amazon, or am I going to need to provide my EIN to all four (or more, if I decide later) sites so as to not get taxes withheld? Just blowing you a big FAT KISS for this wonderful information! You’re welcome. Glad to be able to help. You have completely saved me (and my agent) from further hair pulling. Thank you so much! I will have to have a look at this soon as I am being stung my it too even though I have registered on Airbnb with the relevant forms there to show I shouldn’t pay American taxes. I am losing 30% on Amazon, Lulu and other places. It seems a bit much really considering I am in the U.K. and I uploaded to the Amazon U.K. site. For a nation that claims to hate taxes, it sure doesn’t mind imposing them on others! 1) THANK YOU for writing this out so clearly and detailed. It saved me a ton of stress and time in figuring this all out after I received my year-end notice from Amazon that they were witholding 30%. I had no idea this was happening (but my book sales are very small so it wasn’t a big deal). I followed the steps and got my EIN easy enough. 2) I found with Amazon you don’t actually need to mail in the W-8BEN. I logged into my KDP account, clicked on account settings > Update tax info > answered all the questions accordingly, and it asks if you have a TIN or EIN. I put in my EIN and it populated the W-8BEN for me and asked for an electronic signature, and said my witholding was approved for 0%!! It said the application would be reviewed, so I cannot say with 100% guarantee that this has worked, but it only took 5 minutes so its waaay faster and easier than snail-mailing the W8 to Amazon if this works. I haven’t looked into Smashwords yet but I’ll let you if they have an electronic method also. Thanks again! This post is gold and you’ve really helped me out. I have a question about the ITIN vs EIN. If you have an ITIN, I believe the tax is not withheld. You provide the ITIN to KDP, Createspace, or Smashwords; and they no longer withhold the tax. With an EIN, you have to file a claim for the tax to get it back. Is this right? Diane, I really appreciate the information you provided. I’ll never get the on-hold music out of my head, but once I got a live person on the line, it took about 5 minutes. Thank you! I’m glad I was able to help. Congratulations on getting your EIN. I just got my EIN by following your info. Piece of cake! Thanks so much, Diane. I have self-published one non-fiction book, but my Regency novels are published by a company in the States. They alerted me to the need for either an ITIN/EIN. Hello, Patricia, and thank you for leaving a comment. I’m glad I was able to help. I remember when I first heard about ITIN and EIN; everyone said it was complicated, but once you see the steps, it really is easy. Hi Diane, thanks for the helpful info. One quick question though, if you are receiving royalties from the US and you are using an EIN, will you be required to claim both US and CA taxes come tax season? Hi Dave, thanks for visiting my blog and leaving a comment. I am not a tax expert. If I remember correctly you are able to make up to a certain amount before you have to file with the US, but I’m not completely sure. This is a question for the person who does your taxes. Thank you Diane for this valuable information. What a lot of trouble. This is probably the best article I have read since publishing with Smashwords a week ago. Been dreading having to deal with this issue all week. 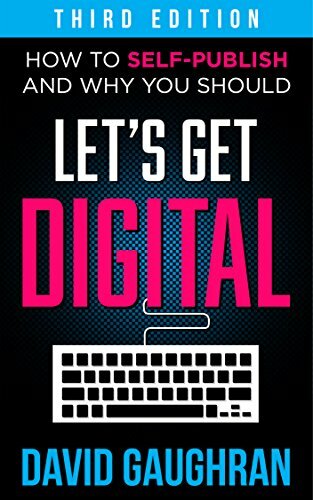 Thank you for detailing everything for those of us who are tech illiterate, I appreciate it, it’s good see fellow Canadian authors helping each other out. Thank you. Thank you, JD, and thanks for visiting my blog. I’m glad to help. When you first look at this issue and hear others talk about it, it seems like a huge undertaking, but if you break it down into smaller steps, it’s easy to do. This was the post I wished I had found when I was going through this. Instead, I visited several sites to gather the information I needed, including the USA tax website. Hi, I just started a tech company and wanted to let you know that this blog post saved me quite a bit of headache with respect to dealing with s US vendor, I just wanted to let you know that this worked perfectly for my needs. I’m so glad to hear this post was helpful to you. Paperwork is never fun, but I’m glad to know I eased the headache. Thank you for leaving comment. Thank you so much for taking the time to carefully and fully explain the “whats” and the “whys” of this process from end to end. I had to wait for well over an hour to speak with someone (after hours of trying to get through at all). Nonetheless, the actual call was extremely pleasant! The person who took my information was excellent and I felt very confident and relaxed having carefully followed your instructions! Diane, this is great information. Thank you. However I see you did this last year–do you know if Canadian authors can still get the EIN instead of the ITIN nowadays, given the new US rule changes for 2013? I’m not finding any useful info in my own research. Hello, Helen. I am aware that an author got an EIN about three months ago, so I’m fairly certain authors can still get it. I have a friend who is trying to get one now, but because of the government shut down, she can’t get through on the phone lines. When she does, I’ll know if you still can. If things have changed, I’ll update this post. I’m glad the information is helpful. Thanks for visiting and leaving a comment. Thanks again, Diane. Very good to know. Hello, I’m not a tax expert and have posted what I’ve done to get the EIN. It works for me as a self-published author. However, I’m aware of two authors who were accepted by small presses in the US, and they required the number to receive their full royalties. Perhaps larger publishers take care of this. I’m not sure, however it does seem to me if you are selling in the US to a company based there, it sounds logical that you’d need an EIN so they don’t hold back money. As for receipts for taxes, I keep them all that pertain to my writing career: stamps, ink, gas (if I’m attending an event; I record the mileage and claim that in gas; good to know your vehicles litres/kilometres), office equipment (printers/computers/external harddrives, etc. ), paper, envelopes, memberships to writers clubs, websites hosting/creating, business cards, posters…the list could go on. But what ever you use–everything from pens to laptops–can be claimed if you bought it to support your writing career. If you have an office space in your home, you can claim the square footage, along with a percentage of the light, phone and Internet bills. I don’t bother to do this because I work from the kitchen table, so I really don’t have a designated space, which I think you need to prove if they come calling. Check with your local employment office (or whatever they call them these days: we called them the unemployment office when I was younger) and see if they offer a business course for small business people (a start-up course). I took one–it ran for five full days–and it really helped me sort out things for my small business. They go into everything, from the things you can claim on taxes, to simple bookkeeping. They also help sort out the business part of things, like registering your business name and the legal papers required for your specific business. I was very pleased with the course. Thank you for simplifying the process of filling out the w-8Ben!!! You’re welcome. It was a long process for me, so I’m happy to help others. Hi I know this post was a while ago but I was wondering if you have any links to where you read that. My understanding is the 0% rate for Canadians is constant, with no threshold. the 5-10% applies to royalties from film/tv not copyright generated royalties (writings). You don’t need an SS-4 form. I got my EIN in less than 5 minutes over the phone. It was that easy! Thanks for visiting, Adrian. No, you don’t need to file the SS-4 form, but if you download it and fill it out, it makes the process on the phone much easier. You’ll be ready with the answers they’re looking for, and you can file it, so you know what answers you gave. For example, the name spelling you used. I had to use Dianna because that’s what’s on my bank statements (which got it off my driver’s license which took it from my birth certificate), but I never use that spelling for any other records. Getting an EIN is the best way to go! Wow! Diane, how generous of you to take the time to explain all this. Hi, Lynn. 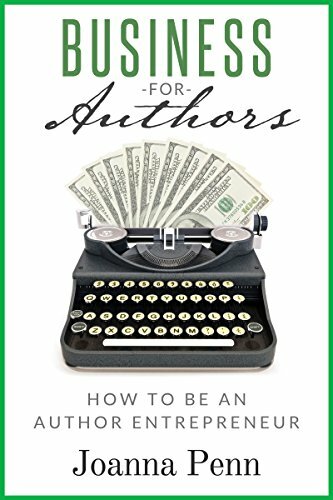 I’ve been help by many others along the way, so this is my little part in helping writers with their careers. Diane you have done Canadian writers a tremendous Service today. Thank you. Yvonne, I wish I had found this information a few months ago. When I went looking, I found a little here and a little there. It’s great to have it all in one spot. I hope others follow through and get their EIN. It really is no trouble. There’s no reason we should lose 30% of our royalties because of a little paper work. I’m glad to be able to help others sort this out. What is Google AMP, and how can I deactivate it?